The heavy rain yesterday failed to dampen the spirit of many who turned up for the Physical Activity and Nutrition Expo programme at the front of the government. The programme, themed “Accelerating Physical Activity and Nutrition through Sports and Recreational Programmes for a Healthier Samoa”, is part of the National Health Week celebration that promotes healthy living through smart lifestyle choices. 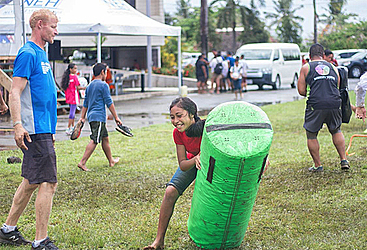 Enthusiastic students of Manumalo Baptize School and Ah Mu Academy braved the rain to be part of the annual activity. 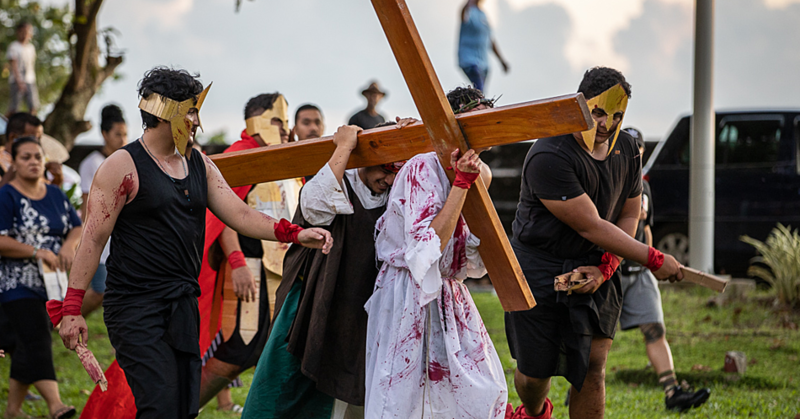 Minister of Health, Tuitama Dr. Leao Talalelei Tuitama, in his remarks said physical activity had been identified as the fourth leading risk factor for global mortality causing an estimated 3.2million death globally. 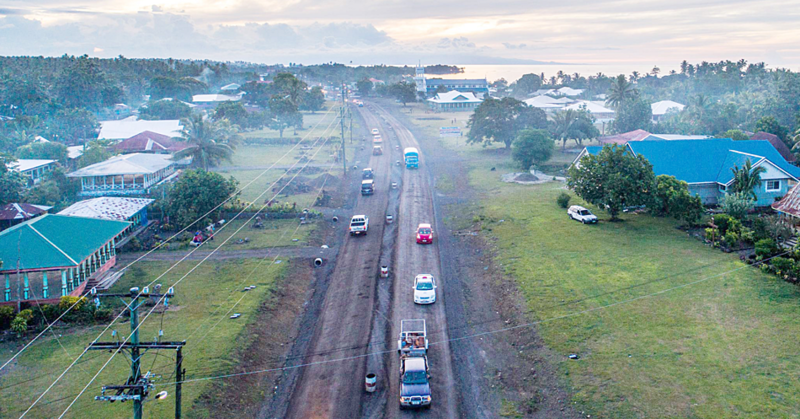 As for Samoa, he added: “People living on an island are at risk of non-communicable diseases such as high blood pressure, stroke, cancer and heart disease which continue to increase over the past five years as reported in the Non-Communicable Disease Steps Surveys Report of 2002 and 2014. “One of the factors contributing to this high risk is being physically inactive. Prime Minister Tuilaepa Lupesoliai Sailele Malielegaoi introduced aerobics in 2008 and it was to encourage all villages and organizations in the community to do Zumba and other activities to stay healthy, he added. 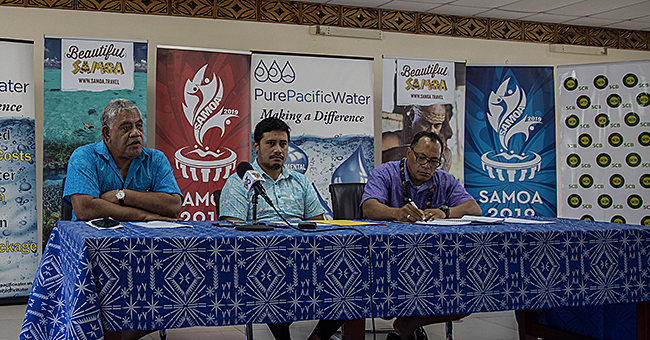 Obesity Coordinator told Samoa Observer, Visceta Meredith said: “We are here to support the National Health Week because we were formed to assist the effort of Ministry of Health. Even though we are targeting the children with our programs but today (yesterday) is for everybody”. “What challenges us is how we action the many initiatives are already in place,” she said. “I also think it is a good way to expose the importance of our work in the community but most importantly to further encourage the people in our community to really look after their health,” said Visceta. Nobesity Samoa, Crossfit Fatutoa, Weightlifting and Body Building were all present to show their support. Physical and Nutrition Expo is going to be an annual event for the National Health Week.